Genealogy – Looking For "Dead People"! The Home of Three Generations! The year was 1904, and the house was one of twenty situated off Fountain Street. 12 Victoria Street was a two up two down terraced house on, what I thought of as, a very steep street in Londonderry. Granny’s house was about half way down on the right side. I remember, as a young girl running down the street, catching hold of the down spout and swinging into the entry way. I was always grateful for that down spout as I don’t know how I would have slowed down without it! Going to Granny’s was always a highlight for me and many of my siblings and cousins. I have few significant memories of my childhood, however, Granny and her home are memories that will never leave me. Over the years three generations of my family lived in that cozy, welcoming little home. 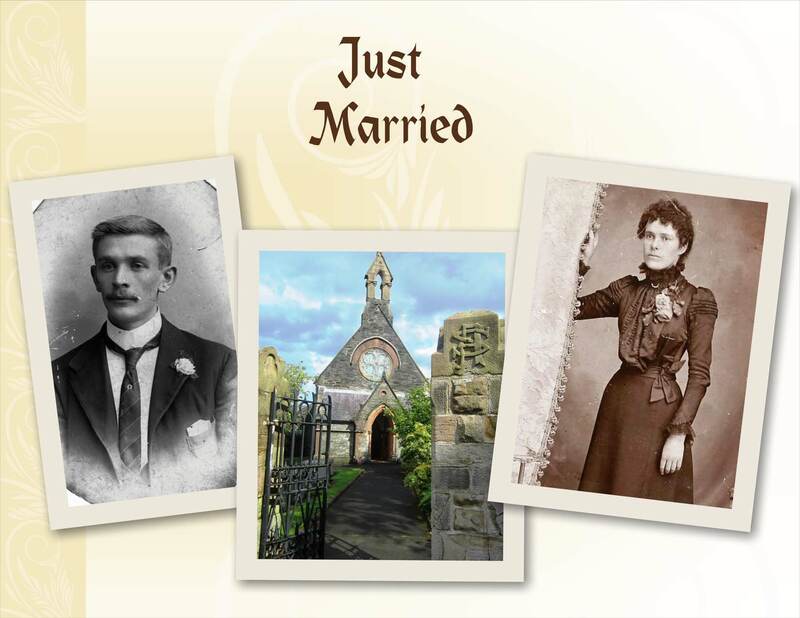 The first generation was my great grandfather Johnston Alexander Love who married Isabella Fisher Chambers in St. Augustine’s Church of Ireland, The Wee Church on the Walls, on 5 Oct 1903. 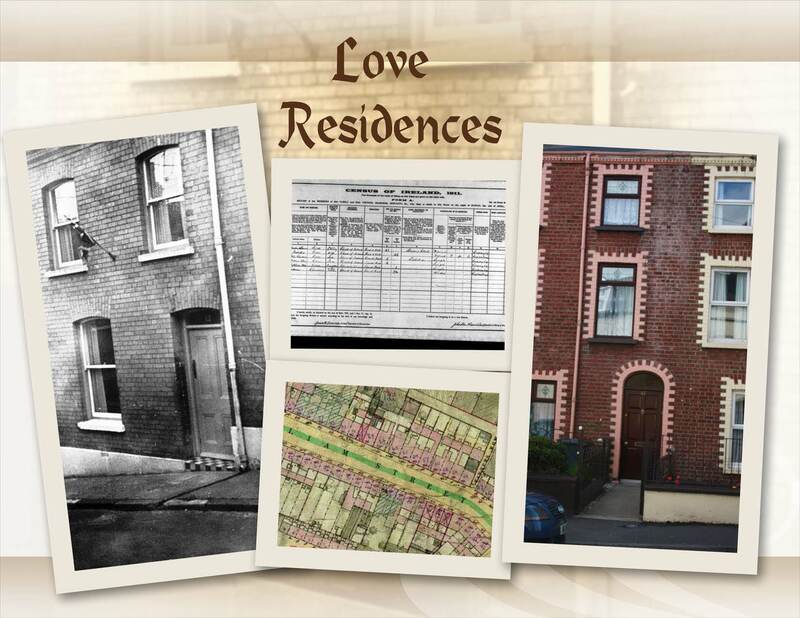 In the very early days of their marriage they lived on William Street which is where they had their first daughter, Evelyn Courtney. Shortly after Evelyn’s birth they moved to their new home in The Fountain. Alex and Bella, as they were known; expanded their family and had four more children. Sadly, Evelyn Courtney died at only sixteen months of age; and is interred in the Derry City Cemetery. 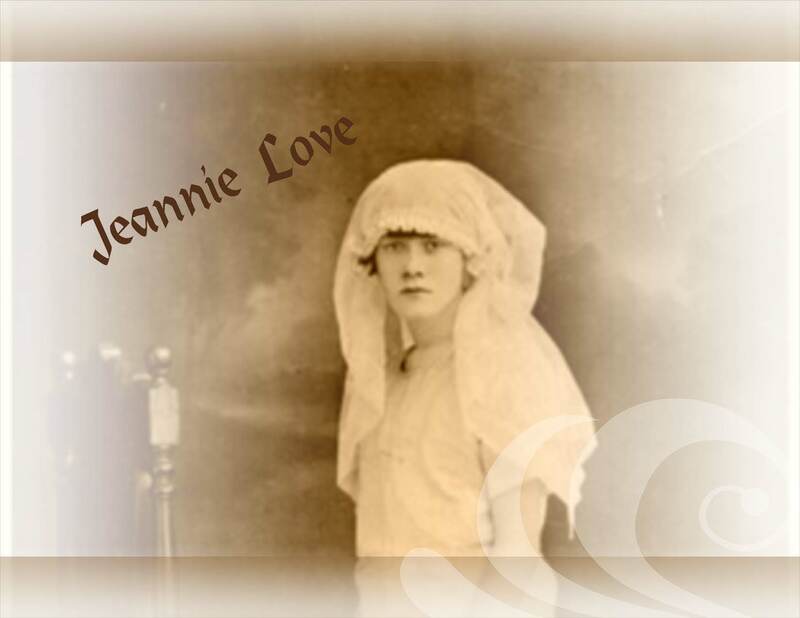 John was born in 1905, followed by William in 1908, Kathleen in 1910 and Jane in 1912. As will happen, over time, the children of Alex and Bella married and began to create their own little families. Their youngest child Jane, known as Jeannie to her family and friends, married in 1936. She, like all of us tend to, moved into her own home with her husband. However, Jeannie didn’t move far from her ancestral home, she chose to live just a few houses away in 20 Victoria Street. About 1937 Alex and Bella purchased a new home in Abercorn Road, where they relocated to with their other three children. Seizing the opportunity – Jeannie, along with her husband Robert and their young daughter, moved back into her childhood home – 12 Victoria Street. As their family grew so did their home – Robert, a carpenter by trade, used his skills to continually renovate and transform their little home. This is the home where they raised their eight children. The home where my mother, their eldest daughter Kathleen grew up. Unfortunately, my grandfather passed away when I was only two, so I have no memory of him. However, I do have many memories of my Granny. Granny’s house was where we were spoilt, the home where my siblings, cousins and I played as children. The home where we just couldn’t get in trouble with our parents – as Granny continually said, “leave the children alone”! She was our “protector”, she was the one we all loved to go to Church with; probably because she always had a little bag of sweets in her handbag for us. She was also the one who pressed sixpence into our hands when it was time for us to leave. She was the one who I loved going to the neighbourhood bakery with to pick up fresh baps in the mornings for breakfast. Number 12 Victoria Street was a place I loved; it was my Granny’s home and she was a lady I adored. I think of her often and wish we had more time together. In 1971, and six days after my 10th birthday, my family immigrated to Canada – the frequent trips to Granny’s house were no longer to be. Luckily, we moved back to Ireland in 1973 for two years, which gave us more time with family and my Granny – only to return to Canada again in 1975. Trips were made back and forth to Ireland, Granny even fought her fear of flying and flew to Canada, but it was just never the same. As families do, we became “scattered” to various parts of the world, the frequent trips to Granny’s house, for me ended in 1975. 12 Victoria Street holds many great memories for me, and my Granny…. well, she showed me what a granny should be. When I’m lucky enough to carry that title, I hope I do my Granny Wilson proud! Copyright (c) (2014) (https://colleenjmurdoch.wordpress.com). All Rights Reserved. Looking For "Dead People"! My Journey Back In Time - Tracing my ancestors and researching the counties, cities and towns where they resided. Taking a “Glimpse” into their lives and stories and the times in which they lived; all in an effort to learn about their “Dash”! “I read of a man who stood to speak at the funeral of his friend. He referred to the dates on her tombstone from the beginning – to the end. He noted that first came the date of her birth and spoke of the second with tears, but he said that what mattered most of all was the dash between those years.” I have always been interested in researching my family tree and “hanging out” in cemeteries. Like most of us... I didn't ask enough questions when elderly family were still living. Oh, what I would give for 24 hours and a camera with my ancestors… just to sit and listen! I'm researching many family lines, including: Murdoch, Wilson, Berry, Love, Scott, Beattie/Beatty, Hendren, Sweeney, Robinson and Elvin; just to name a few. My families are predominantly from counties Antrim, Donegal and Londonderry. However, it seems that many of them, both maternal and paternal lines, originally hailed from Co. Donegal. I was born and raised in Northern Ireland and now live in Ottawa, Canada, making frequent trips back home to visit with my family. Of course those visits also include treks to the many burial grounds of my ancestors. My most recent trip back home was during the summer of 2014! Now looking forward to May 2019! If you are interested in help tracing your ancestors I’d love to hear from you! 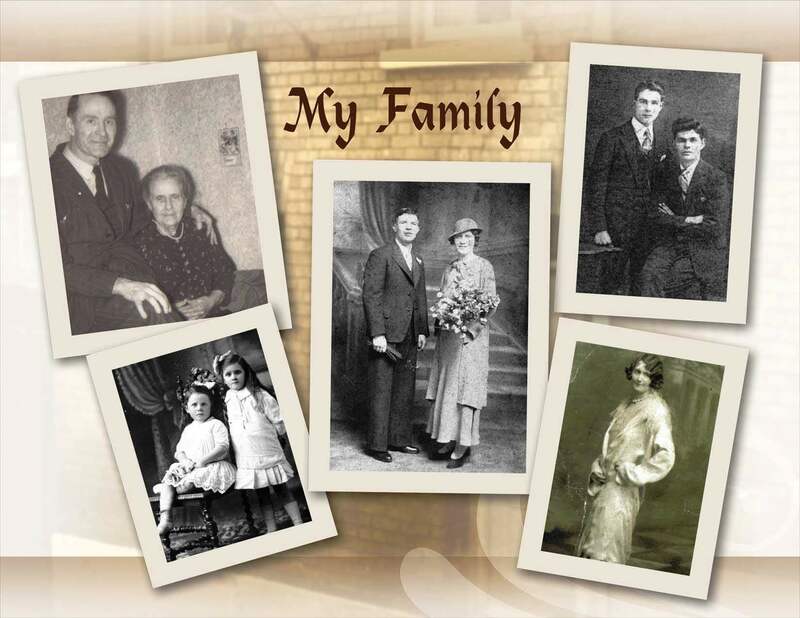 This entry was posted in Co. Londonderry, Family History, Geneaology, Ireland and tagged Burial Records, Co. Londonderry, Family History, Geneaology, Love Family, Wilson Family. Bookmark the permalink. This is a lovely post Colleen; both a tribute to your grandmother (who sounds like a wonderful woman) and a reminder of how important “place” is to our sense of self and belonging. Cheers, Su. Hi Su and thank you! Yes, granny was special. She most certainly was a role model for all of us who are or will be granny’s. Sometimes there were so many of her grandchildren visiting her at the same time; we would sit on the stairs having our “dinner”. I just loved those times and have always missed them. I often think how sad it is and how much we missed when we all “scattered”! Christmas and other holidays where never the same. Have a great day! I feel a bit the same way about my gran. We emigrated to NZ when I was five, so there aren’t as many memories. But I do recall lots of cousins being crammed into Gran and Grandad’s little flat, with us all vying for Grandad’s attention. He was in a wheelchair, so getting to sit on his lap and being wheeled around was a huge treat. Lovely memories! A Hero of The First of July Attack! 2nd Bn Highland Light Infantry! Twisted Limbs & Crooked Branches!